Believing that the written word is a positive pathway to self-expression and identity, a portion of the proceeds from the sale of every FICTION frame supports the work of 826LA, a non-profit organization that nurtures the writing skills of students and assists teachers in encouraging their students to write. Founded in 2005, 826LA has served more than 65,000 young people with free programs that specifically target economically disadvantaged students, including tutoring, in-school projects, workshops, field trips, and publishing projects. An orchestrated network of volunteers, including writers, artists, and professionals, supports the vital work of 826LA, logging more than 21,000 hours of service last year alone. 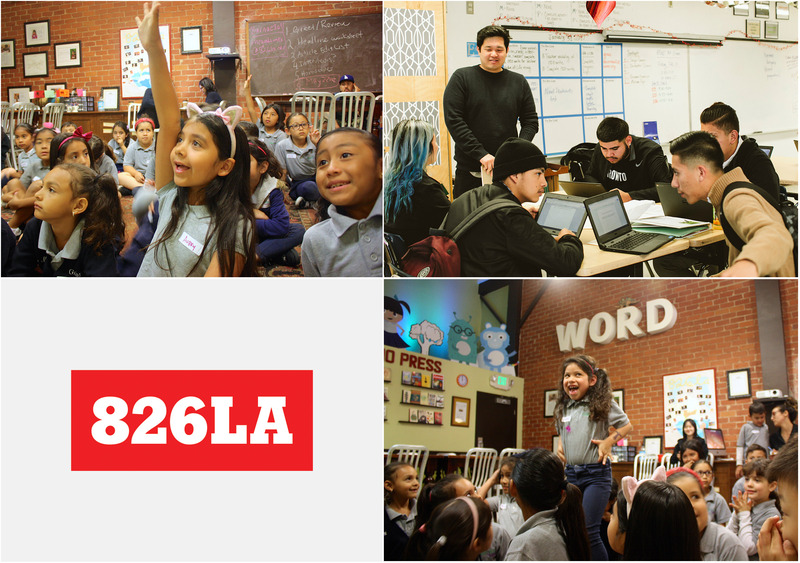 To learn more about the inspiring mission and work of 826LA, please visit their website HERE. We also suggest a visit to 826LA’s imaginative Time Travel Mart HERE. A whimsical collection of items for explorers of the past, present and future, all proceeds directly support 826LA.